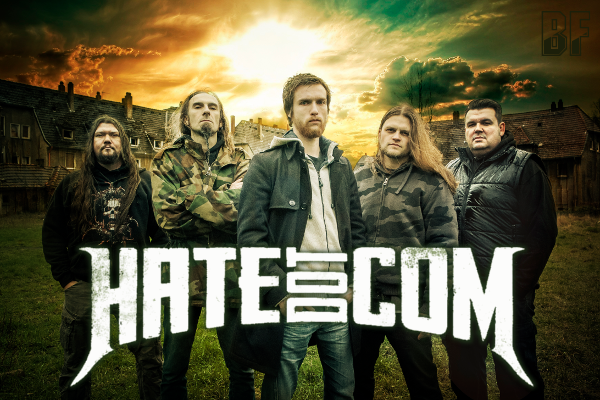 HATEdotCOM is a five-piece new Modern Thrash Metal band from Germany's so called “Ruhrgebiet” where is a home of countless metal legends like Sodom, Kreator or Blind Guardian, formed in 2006. They have released an EP "Mindstorm" (2008), their debut album "Fragments Of Scare" (2012) and the latest album "Dissociative" worldwide through 7Hard in May 2014. After the release their debut album, the band went on tour with well-known bands like Haggard and so on. "Dissociative" was mixed and mastered by Swedish metal-legend Dan Swanö (e.g. Edge of Sanity, Katatonia, Bloodbath). He did a great job as was developping their music appeal. It heard he also came to the band's latest photoshoot. 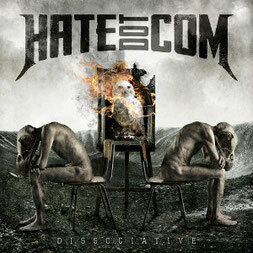 Since their　musical influences come from all directions of the rock and metal highways all over the world, HATEdotCOM's music could be described as a mixture of modern metal/melodic death metal with powerful hard rock elements.